Organizing the party around a theme is exquisite and enthralling. 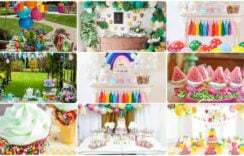 You can pick any theme depending upon which you can design the celebrations. 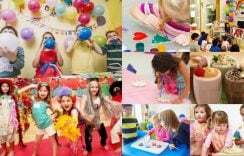 Color based parties to circus, jungle, Barbie etc. there are various topics which can be selected as per your toddler’s liking and gender. The next important thing is to decide the invitation designs. You can either select from a range of cute and exciting templates for online invites or you can have custom made paper birthday party invitation letters. If you are following a theme then make sure that your cards are in accordance with it. Go for cards with pictures and colors to make them look more interesting and impressive. Birthday cake is the focus of the party. Have a designer cake on the first birthday party of your toddler. You can even have his infant picture printed on it. Make sure the design is specifically related to your baby. It can be a cartoon character or a special 1st birthday cake with fruit topping or gum paste decorations. This is surely the most important thing to focus on. Decide on drinks, starters, main course and desserts based on the likings of your little guests. It is essential that your food looks impressive and tastes delicious. Include a colorful fruit platter along with healthy juices or floats to pep up the taste buds of the kids. Also include muffins and cup cakes with ice-creams for desserts. Having pizzas with variable toppings along with snacks like nachos and puffs are dishes liked by kids of all ages. You must make sure that you decorate your house in accordance with the theme you are following. Color coordinated props for decoration like ribbons, balloons and table décor. Make sure that your decorations are easy yet interesting. String of balloons and ribbons looks really gorgeous. You can even have flowers to create a fresh and soothing ambiance. You must select some of the most entertaining games to bring smiles to the face of your little guests. Dancing statues, passing the parcel, food on the string, treasure hunt, musical chair are some of the evergreen favorite games amongst the children. Pick up any of these games and remember to award the winner to make it an intense competition. A party is incomplete without favors. 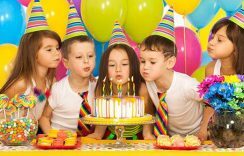 Kids enjoy unique gifts once they birthday celebrations are over. You can have colorful mugs, photo frames, pencil boxes or story books as the favors. Wrap them up in beautiful packing to add more glamour to the gifts and bring a smile to their faces. Do not forget to keep your camera ready to capture every precious moment of the first birthday celebrations of your little one. From cake cutting to game sessions and buffet meals, make sure you have someone to click pictures of the events and create beautiful memories for you. 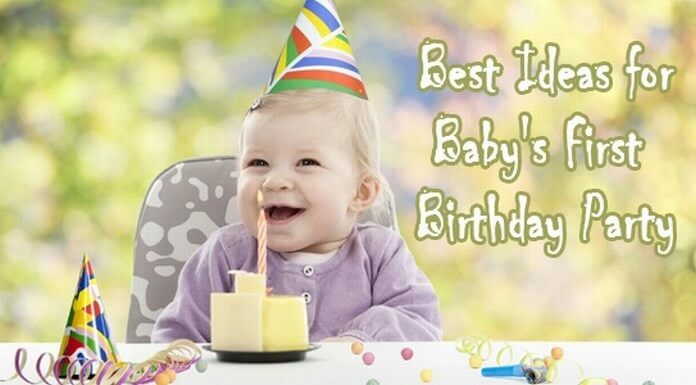 These are some of the most important ideas for the very first birthday of your little baby which you must remember to include in the celebrations and make your party a blast in every sense. So now when you know all the important highlights, gear up to plan the party and make it more memorable. 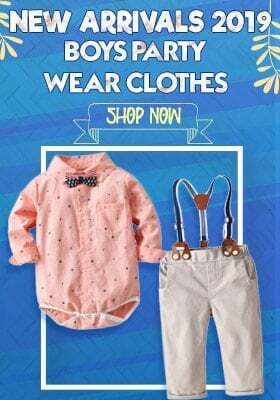 Shop for cute first birthday dresses for baby girls and boys at Pink & Blue India! Find unique baby’s birthday dresses in a variety of colors and sizes.